Is it time for a basement update? In today’s modern home, a basement is no longer that stuffy, musty place to keep old furniture and exercise equipment. Today, the basement is used for casual social situations and to entertain guests. A well-designed basement will not only add value to your home, but it can enhance your living situation. 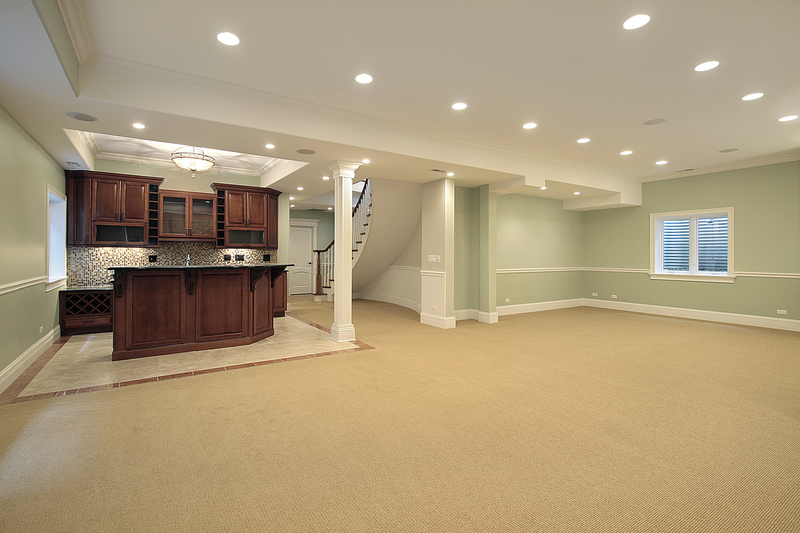 Properly finishing a basement only costs a fraction of what it costs to build an addition. That means you’ll have more money in your pocket for the next big home improvement project on your list. 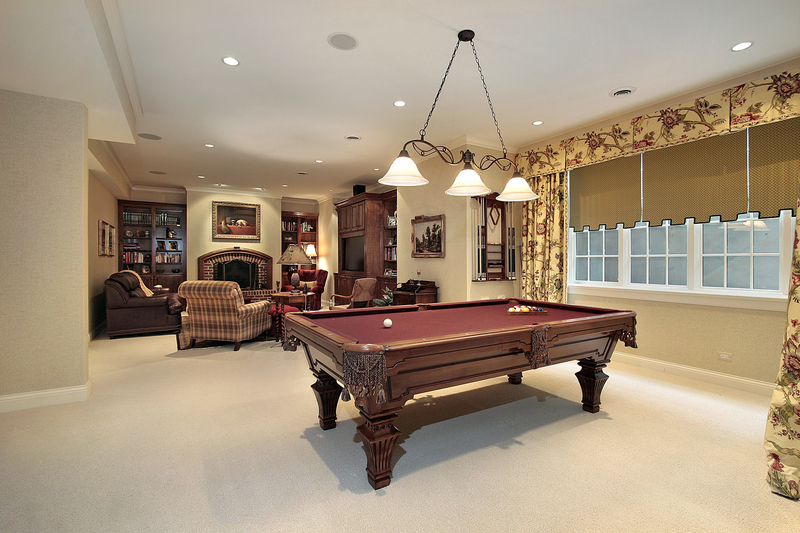 The best way to make your basement more inviting is to design and decorate it like the upstairs part of your house. Comfort and style should lead the way when deciding on your basement design. 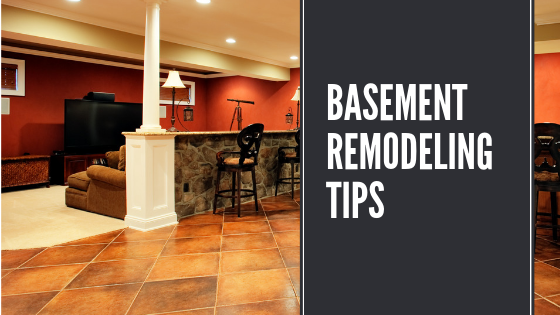 Follow our tips and turn your cold, cramped basement into a beautiful bonus room. The first step in your basement remodel is to identify how you will be using your basement. 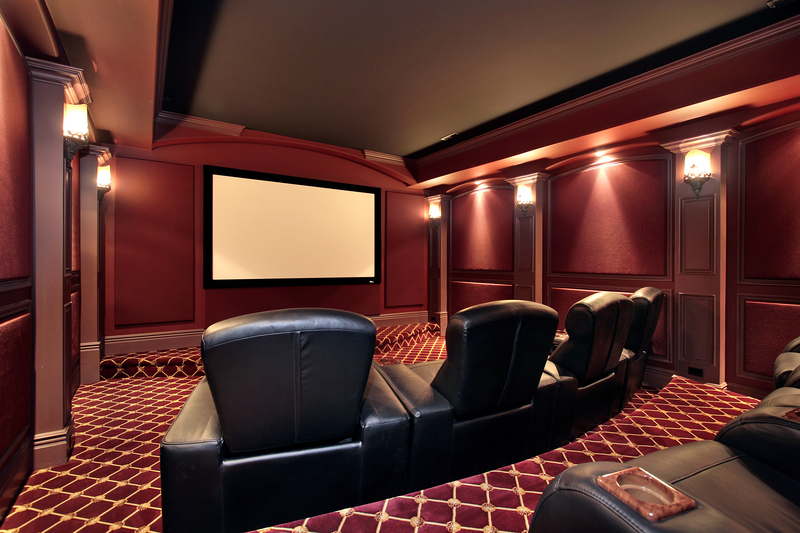 For example, if your basement is dark, consider using it as a theatre room. If you have a room in your basement with a window and natural light, consider using that space for a bedroom. Having a bedroom in your basement is a great way to make guests feel more at home. Building codes also require that basement bedrooms have an emergency exit that leads directly outside, either through a door or a window. Having a mini kitchen or a wet bar in your basement will allow you to entertain guests with ease. A kitchen requires access to hot and cold water, as well as electrical outlets for an under-counter refrigerator, a microwave oven, small countertop appliances, and possibly a small dishwasher or dishwasher drawer. A laundry room is a good idea in the basement, but it needs a floor drain and access to an outside wall to vent the dryer. Don’t lean toward elegant drapes and plush carpets. Choose surfaces and fabrics that absorb moisture well. Try not to store linens and fabrics in your basement. Choose area rugs because they can be removed, cleaned and dried. If you choose wall to wall carpeting, go with low pile or commercial grade carpets. While your basement might not be your favorite area in the house now, you will end up with an enjoyable space. If you pay attention to details, there is no reason why you can’t create high value, high comfort living space in a basement. Wysocki Brothers Home Remodeling can help you get the most out of the space. A little planning and thoughtfulness can go along way. Our home remodeling experts can help you create a space that is attractive, comfortable and useful.